Also of note: TCM Underground moves to Friday nights. And Noir Alley now has two airings of each film. One on Sundays at 10 AM, and the night before, Saturday at Midnight. Daughter of the Dragon (1931), the third in the Paramount Fu Manchu films starring Warner Oland, this one featuring star of the night Anna May Wong, is worth a look. It's on the 4th. A double feature starring Josephine Baker later that night. Pressure Point is on the 7th/8th at 2 in the morning Eastern time. Someone was just asking about it the other day. Secret Ceremony (1968) is on 16th/17th at 2:45 AM. It's a Robert Mitchum flick I haven't seen. Winter Meeting (1948) is a Bette Davis film I haven't seen. It's on the 21st. Primetime on the 30th is a lineup of Diana Dors movies. Grab your popcorn, kids! It's followed by that great Australian killer pig movie Razorback. It also appears like Saturday morning lineups are meant to emulate the old matinees, with shorts, quickie B-westerns, serial chapters and Tarzan features each week. Thank you for this info. I hope people don't complain about Liz, since she's an MGM player with the majority of her films usually in heavy rotation on the channel each year. She still turned in some very good performances and it's nice to see her remembered/honored again. Check out CYNTHIA (1947) an early role where she's an adolescent. Biographer Kitty Kelly claimed a lot of Liz's later real-life dramas can be traced back to this movie, in which the young actress had considerable input using details from her own life. Now if that doesn't make you want to watch CYNTHIA and her other films on TCM, nothing will! Imo nothing really new or interesting besides some of the Imports. Most likely new premiers as I can't even find any info on the Japanese ones online and I don't recall the Josephine Baker one having been on TCM before. Yeah, the Tom and Jerry cartoons stuck out at me as something they're probably paying a lot to air. Hmm, first link comes to a crashing halt after 3/3, I presume because that link is specifically tied to the 31 Days schedule. Then the second link starts with 3/8. How do I see 3/4-3/7? Edit: Clicked on the same link a second time, and now I see all the days in the first week. Very weird clicking on the same link twice one minute apart took me to two completely different places, but never mind! High Noon airing for the first time in nine years on March 8! Okay, sorry for all the posts, but I accidentally X'ed out of that link and now every time I click it, I can't see 3/4-3/7 anymore. Help! Edit: Okay, so I opened up the calendar and manually moved it to 3/4. So, never mind again. (I'm not drunk, I just struggle with technology sometimes). I will try not to close out this link this time. The Happy Years on March 5 at 6pm is one of the most joyous coming of age movies ever made. 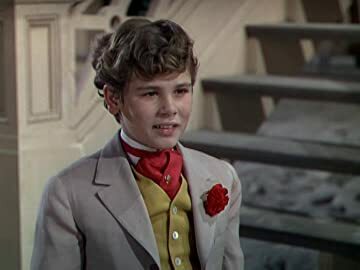 Based on Owen Johnson's Lawrenceville Stories, the leads are Dean Stockwell and Darryl Hickman, as well as a wise old Leo G. Carroll. Totally disarming, nostalgic film, filled with mischief and color. You're not alone in that struggle. I'm still trying to figure out my toaster. I'm indifferent to Elizabeth Taylor, but I prefer her adult career over her child career, though I do enjoy National Velvet. I am happy that they have added an extra airing of the Noir Alley segment. 9pm Saturday is much more convenient for me than 7am Sunday. The Big Heat. I've been wanting to see more Gloria Grahame films and I haven't seen this one yet. Shanghai Express. I've been interested in seeing Marlene Dietrich's pre-codes. 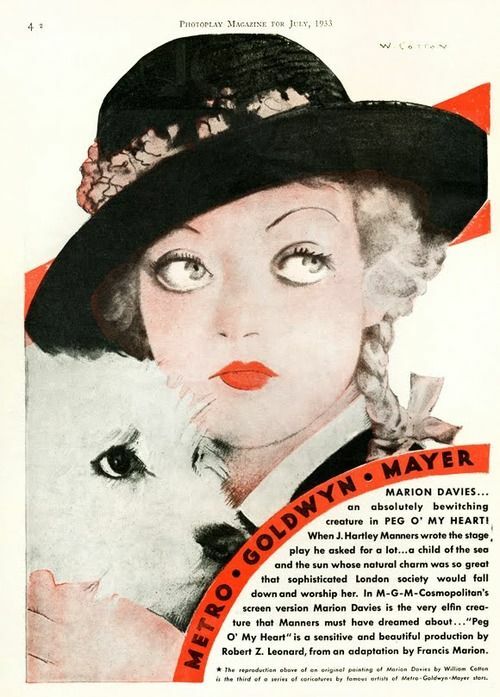 I haven't seen any of her collaborations with Josef von Sternberg. The Pressure Point. This film featuring Sidney Poitier and Bobby Darin (!) sounds interesting. Though, I'm not the biggest fan of Peter Falk, who co-stars. Cause for Alarm sounds interesting. I've been seeing more Loretta Young lately and the synopsis sounds intriguing. Lilith. My podcast, "You Must Remember This" did a segment about Jean Seberg this past summer and this film was mentioned. I haven't seen Seberg in a film. The Caretakers. This looks interesting. This film features Robert Stack and Joan Crawford. This film is about a progressive psychiatrist and a headstrong, conservative nurse. I'll go out on a limb here, and assume that Stack is the psychiatrist and Crawford is the nurse. During the depressing alcoholism daytime theme, I'll Cry Tomorrow looks interesting. I haven't seen this Susan Hayward film and I like Eddie Albert. I like Too Much Too Soon, but the Errol-less part of the film is definitely not as good as the Errol part. High Noon. I've been wanting to see this film forever. I will say that Drew Scott (whom I believe is the real-estate twin on Property Brothers) has chosen a pretty diverse group of films. Poltergeist following To Kill a Mockingbird? To Kill a Mockingbird. I read the novel and loved it, I still haven't seen the film. Though I believe it is on Netflix right now. The Angry Hills. This is a Robert Mitchum film that I haven't seen before. The Legend of Lylah Clare. YES! I've been hoping that this film would repeat. I know that it's supposed to be bad, but I want to see it. I recorded it the last time it was on and wasn't able to watch it before my DVR died. The Edward G. Robinson comedy block. I wouldn't mind seeing The Whole Town's Talking again. Duck and Cover. I've never seen this famous short film. Movie Crazy. A Harold Lloyd pre-code sounds interesting. The Saturday Night Noir block. Kansas City Confidential, 99 River Street and Stranger on the Third Floor. I believe that 'Stranger' is the Noir Alley feature. Trouble in Paradise. An Ernst Lubitsch film that I haven't seen. Skylark. A Claudette Colbert film that I haven't seen. A Date With Judy looks interesting mostly for the casting of Carmen Miranda. Summer Holiday. Despite Mickey Rooney, this musical intrigues me. Conspirator. This Elizabeth Taylor thriller sounds interesting. Father's Little Dividend. I haven't seen the sequel to Father of the Bride. The Purchase Price. A Barbara Stanwyck pre-code film that I haven't seen. Secret Ceremony. This Elizabeth Taylor and Robert Mitchum film sounds interesting. Crossfire. A Gloria Grahame and Robert Mitchum noir that I haven't seen yet. A Scandal in Paris. I've been trying to see more Carole Landis films. An Ideal Husband. A Paulette Goddard film that I haven't seen yet. Blackmail. An Edward G. Robinson film that I haven't seen yet. Winter Meeting. 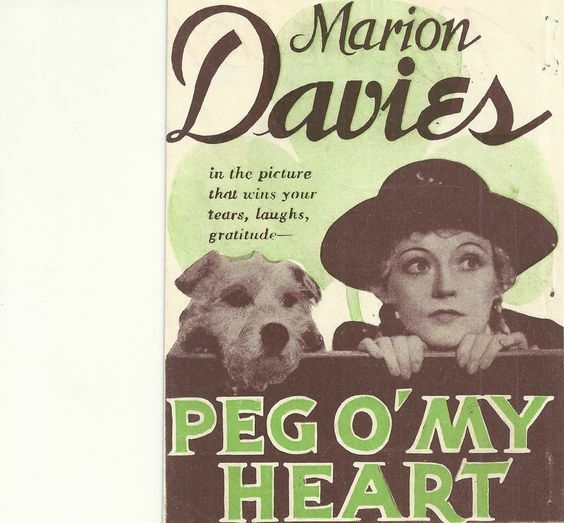 One of the few Bette Davis films that I haven't seen yet. A Fine Madness. Another Jean Seberg film. The Way We Were. I've always wanted to see this movie. I love romance movies if they have substance. Waterloo Bridge. This remake sounds like it might be good. I believe I have the original on a "Forbidden Hollywood" compilation. Flamingo Road. I've been wanting to see this film. A Woman's Face, Queen Bee, Autumn Leaves. Crawford films that I haven't seen. Torch Song. From the previews of this film, this looks like something I need to see. No Questions Asked. This week's Noir Alley feature. The Scarlet Empress. Another Marlene Dietrich film that I haven't seen. Titanic. I've been wanting to see this Barbara Stanwyck Titanic film forever! A Night to Remember. I haven't seen this Titanic film either. I Married a Witch. I've been wanting to see this Veronica Lake movie again. The Big Leaguer. I'm a big fan of Vera-Ellen, and this is one of her films that I've never heard of. In Search of the Castaways. I love this movie!! Ugh a block of Jeannette MacDonald, Lily Pons and Kathryn Grayson singing opera. Hard Pass. I wonder if the night before is for the Sunday film the next day or from the last week? There's a real gem scheduled for Treasures from the Disney Vault on March 29-30. 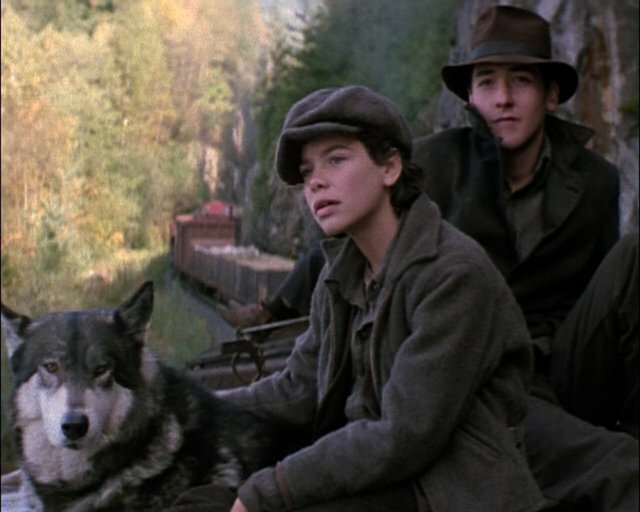 "The Journey of Natty Gann" (1985) stars Meredith Salenger as a Depression Era girl who embarks on a cross-country trip to find her father (Ray Wise) in the Northwest. John Cusack -- who also starred in "The Sure Thing" and "Better Off Dead" that year -- appears as a young hobo who helps Natty along the way. She also rescues a dog named Wolf, which accompanies her on her trip. The film was directed by Jeremy Paul Kagan, whose credits also include "Heroes" (1977, with Henry Winkler, Sally Field and Harrison Ford) and "The Big Fix" (1978, which starred Richard Dreyfuss). Salenger, who also appeared in the films "A Night in the Life of Jimmy Reardon (1988, with River Phoenix) and "Dream a Little Dream" (1989, with Corey Feldman), graduated from Harvard. She married the ubiquitous actor and voiceover specialist Patton Oswalt last year. You're not gonna find me complaining about Liz. I love Liz. I own To Kill A Mockingbird and seen it several times. I was first introduced to it in high school, and even then I knew Gregory Peck was born to play Atticus Finch. I've only seen Poltergeist once and would like to see it again. I still miss Dominique Dunne and Heather O'Rourke. I thought that Drew Scott's lineup was very diverse. I am interested in High Noon and To Kill a Mockingbird. I have seen Poltergeist, but don't plan on watching it again. That genre of film is not my favorite and Poltergeist was a one-time viewing film for me. Wow March has a lot of unknown (to me) precode titles penciled in to record early in the month. First off, I'm thrilled over the 2 Anna Mae Wong movies on the 4th- DAUGHTER OF THE DRAGON and PICCADILLY, Already seen SHANGHAI EXPRESS, but it's probably the best film for both Deitrich & Wong. If you've never seen it-don't miss it. The 4th also has faves BORN YESTERDAY with Judy Holliday playing lovable ditz with tough guy Broderick Crawford. And early morning hours, ZOUZOU, one of only 3 Josephine Baker movies out there. I like LizTaylor and the line up of movies should convince the unbelievers she had talent as well as beauty. BUTTERFIELD 8 is my personal favorite, although I love her as a floozy, drunk & degenerate too. It's always satisfying to see a beautiful woman as a train wreck, Liz played that to perfection. CAT ON A HOT TIN ROOF is one of my favorites because of the Jack Carson role. He's AMAZING in this dramatic role. Interesting Lumberjack line up on the 16th-what will those programmers come up with next? THE GAZEBO on the 20th, is a fun 60's comedy in much the same vein as the more commonly shown THE TROUBLE WITH HARRY. Skip OSCAR WILDE on the 21st-I thought this would be a decent biopic of one of my favorite writers, but instead was offensive and uninformative. OK maybe the fact Wilde was bisexual was salacious for 1960, but this movie never seems to get over it and illustrate anything else about the great writer. You get Crawford's best on the 23rd...if you like Joan. I like Fredric March and he's given a day on the 27th! Love the entire line up....but weird 8Pm shift into westerns, programmers. And I second the JOURNEY OF NATTY GANN in the early morning hours (2:15 AM) of the 30th. I saw this ONCE and just fell in love with it. Let's hope it's as good as I remember!